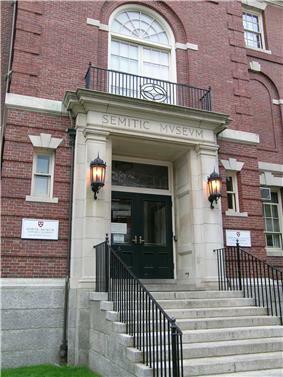 The Harvard Semitic Museum was founded in 1889, and moved into its present location at 6 Divinity Avenue in Cambridge, Massachusetts in 1903. From the beginning, it was the home of the Department of Near Eastern Languages and Civilizations, a departmental library, a repository for research collections, a public educational institute, and a center for archaeological exploration. Among the Museum's early achievements were the first scientific excavations in the Holy Land (at Samaria in 1907-1912) and excavations at Nuzi and Tell el-Khaleifeh in the Sinai, where the earliest alphabet was found. The Museum's artifacts include pottery, cylinder seals, sculpture, coins, cuneiform tablets, and Egyptian mummy sarcophagi. Many are from museum-sponsored excavations in Jordan, Iraq, Egypt, Cyprus, Israel, and Tunisia. The museum holds plaster casts of the Black Obelisk of Shalmaneser III, the Laws of Hammurabi, and the Stele of Esarhaddon, as well as a full-scale model of an Iron Age Israelite house. The Museum is dedicated to the use of these collections for the teaching, research, and publication of Near Eastern archaeology, history, and culture. Architectural firm A. W. Longfellow broke ground on the present Semitic Museum site on September 27, 1900. Construction was completed in Spring of 1902, and the public portions of the Museum were opened on February 5, 1903. The Museum's facilities were repurposed during World War II, and it was closed to the public from August 1942 through April 1946. It would close again twelve years later in 1958. The Museum reopened on April 5, 1982, and then Harvard President Derek Bok spoke at the reopening ceremony. The Museum, through the collaborative efforts of departmental faculty, curators, museum curatorial staff and students, mounts exhibits, often in conjunction with university courses, which not only serve the University community, but also attract the general public. The Museum has an active public outreach program featuring tours for school groups and teacher training workshops. The Museum also sponsors, either alone or in conjunction with other institutions, a number of public lectures each year. Through these educational efforts, the Museum seeks to promote a wider understanding of the civilizations of the Near East and their great cultural legacies. 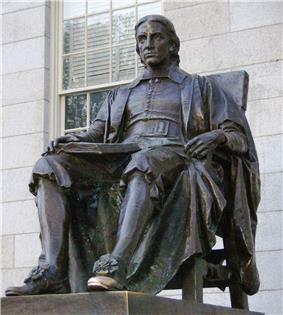 There are many opportunities for Harvard University students and faculty to make use of the museum collections and facilities. Objects can be used for coursework, viewing assignments, research papers, senior theses, dissertations, and teaching displays. The basement seminar room is available for sections scheduled to view the collection. The Semitic Museum sponsors archaeological field research into the complex societies of the Near East, with special emphasis on those ancient cultures related to the world of the Bible. Each year more than 100 staff, students, and volunteers participate in the Ashkelon Excavations (The Leon Levy Expedition), led by Museum Director and Dorot Professor of the Archaeology of Israel Lawrence E. Stager. The Museum, through its Harvard Semitic Series and Harvard Semitic Monographs, publishes archaeological, historical, philological, and cultural studies of the Near East, many of which present the research of the department faculty and their students. ^ Weissman, Ann Waymire (2012). "Chapter 3". Governance and the Academic Museum: A Case History of the Semitic Museum (Thesis). Cambridge, MA: Harvard Extension School. p. 22. ^ Weissman, Ann Waymire (2012). "Chapter 4". Governance and the Academic Museum: A Case History of the Semitic Museum (Thesis). Cambridge, MA: Harvard Extension School. p. 50. ^ Semitic Museum. "About". Semitic Museum Website. President and Fellows of Harvard College. Retrieved 22 June 2012. ^ Semitic Museum. "About". Semitic Museum Website. President and Fellows of Harvard] College. Retrieved 22 June 2012.